The 76ers have started to hit their stride. 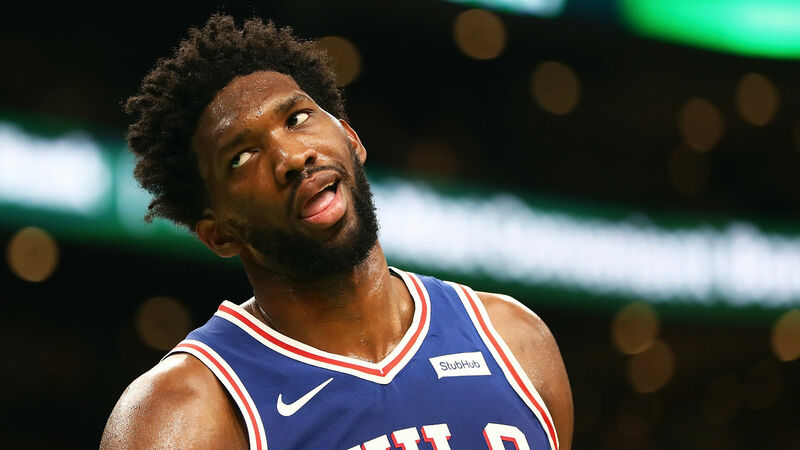 With their 117-91 win over the Knicks on Wednesday, Philadelphia has now won six of its last seven games and seven of its last nine since acquiring Jimmy Butler. The team’s record stands at 15-8 on the year. The 76ers weren’t the only team to blow out their opponent Wednesday, though. As of 10:30 p.m. ET, only one game had been decided by one possession. Six games had been decided by 14 or more points, and four of those by 20 or more. Russell Westbrook scored 23 points on 10-of-17 shooting while grabbing 19 rebounds and 15 assists in a 100-83 win over the Cavaliers. James Harden had 25 points, 17 assists, 11 rebounds and six steals in a 128-108 loss to the Mavericks. Trail Blazers guard Damian Lillard scored 41 points while shooting 13 of 22 and 10 of 15 from the 3-point line in a 115-112 win over the Magic. Nets guard D’Angelo Russell was prevalent in the Brooklyn offense on Wednesday, but maybe he shouldn’t have been. He finished 6-of-25 shooting and the team was minus-13 with him on the floor in a 101-91 loss to the Jazz. Warriors (15-7) at Raptors (18-4) 8 p.m. ET — Stephen Curry will not be playing for the Warriors in this one — he’s set to return Saturday — but that doesn’t mean this won’t be a good game. It’s Kawhi Leonard vs. Kevin Durant. How is that not a fun proposition?